Spend an idyllic weekend in one of the UK's stunning Areas of Outstanding Natural Beauty with the kids. The Forest of Bowland is an incredible, wild area of fells and moorland that stretches across northern Lancashire, and we’re lucky enough to have one of our glamping sites located right at its southern edge. Glamping is ideal for the whole family and makes for a fun, yet relaxing holiday no matter what your age. If you ever went camping as a kid you’ll know just how great it was to get back to nature, go romping through the countryside and roast marshmallows over an open flame. And now that you have youngsters yourself, you might be eager for them to have the same experiences. But somehow, the thought of pitching a tent in the dark and then having the muddy trek to the wash blocks each evening is now much less appealing. You can turn up on Friday, after work or school, and your tent and all its contents will be ready and waiting for you. The safari-style retreats have real furniture, a shower and WC, proper bedrooms, a kitchen and even a log-burning stove at its heart. If you wanted to, you could just jump in to bed and catch up on some much-needed rest. 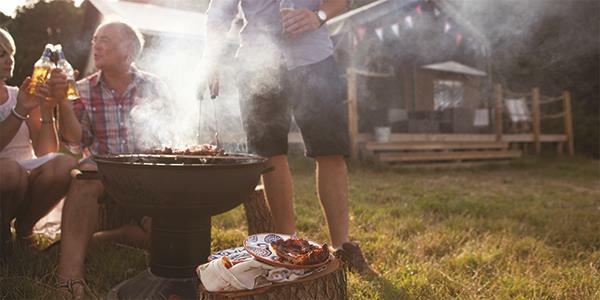 Alternatively, pre-order a barbecue pack for when you arrive and you’ll have all you need food-wise to cook up a feast and get your weekend off to a good start. Take a look at which food packs are on offer at Bleasdale here. Top Tip: get your fire going as soon as you arrive, whatever the time. The woodburner inside acts as your heat source and the firepit outside is great for barbecues. Once they’re going it’s easier to keep them going all weekend than to let them go out and have to rebuild them. Check out our blog post for how to build a fire here. Wake up to the sounds of nature and step out your front door into the great outdoors. Each of our sites is located in stunning areas and the surroundings are really great for exploring. 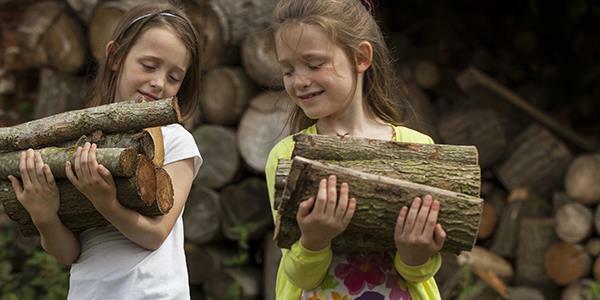 While you’re preparing a hearty breakfast over the fire (or indoors on the gas hobs if you prefer) youngsters can be running around enjoying the freedom, or taking turns to stock up on firewood from the nearby log store. At Bleasdale it’s peaceful enough to stay on site and spend a lazy morning cooking pancakes on the firepit or frying up a full English. Take a look at some yummy breakfast recipes on our blog post here. 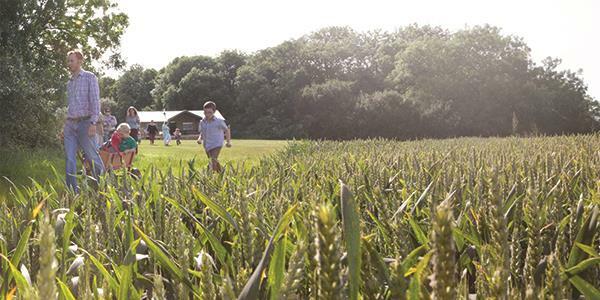 Youngsters will love playing games on the grass or you can explore the many footpaths surrounding your tent. Because you are deep in the heart of the countryside, Bleasdale is perfect for nature spotting and there is some fantastic birdlife around. 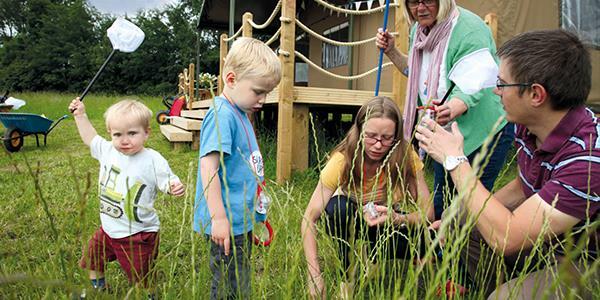 Don’t forget that we offer Lantern Goes Wild onsite which is a wonderful way to get children engaging with the natural world. There are bug pots, magnifying glasses and activity sheets to help them get discovering. Check out our blog post for outdoor games to keep youngsters entertained here. Or learn more about Lantern Goes Wild on our blog post here. It’s so relaxing on site that we wouldn’t blame you if you never wanted to leave. Especially a place as beautiful as Bleasdale. But if you did fancy venturing a little further afield, there is lots to do in the surrounding area too. 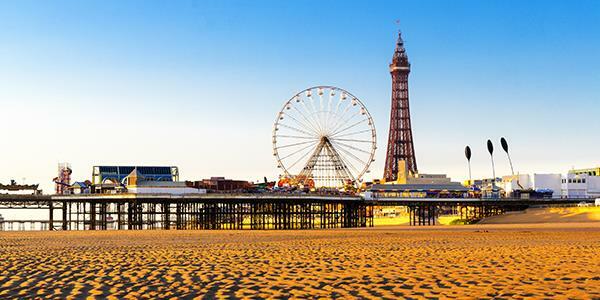 Blackpool is a really lively seaside town and is less than an hour west if you fancied a bustling trip to the town or beach. Closer to home you have the Bowland Wild Boar Animal Park where little ones will love spotting the boar and longhorn cows along with the other animals. It’s just outside Chipping and only half an hour from Bleasdale. Take a look at their website. Saturday evening is a great time to put your barbecue skills to the test. Either make use of the pre-ordered food pack, or pick some grub up on your way back to base camp (Preston and Clitheroe are both big towns nearby with shops and facilities). The skies are so clear here that the stars come out in full force while you’re gathered round the fire. Eat, drink and chat late into the night and crack open those marshmallows for some after-dinner s’mores. Watch the sunset and enjoy the stars emerging around you. Make the most of your final day in the countryside and kick Sunday off with a walk. Only 20 minutes away from your tent is the Bleasdale Stone Circle, an important historic site that is thought to date from the Bronze Age! It’s a timbre circle that was first discovered in the 19th century and can be found in the copse of trees at the base of Fair Snape Fell. On your way home, why not stop off at the Derby Arms, a lovely village inn between Longridge and Chipping for a bite to eat? It’ll set you up nicely for your journey back home and a Monday morning back at work! Take a look at their website. 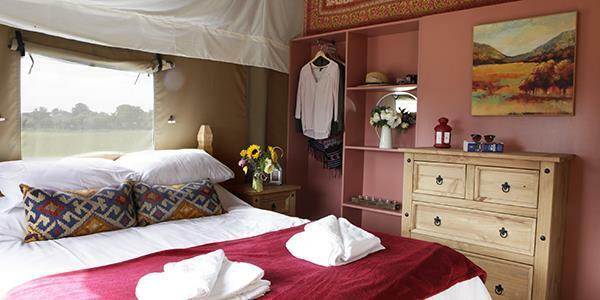 Don’t forget we have four incredible glamping sites, so next time you could try one of the others. Take a look on our website for information about each of the sites and to book your break today.